AmpliTube 4 is a guitar and bass tone studio for Mac/PC that works as a standalone application and as a plug-in for your favorite DAW. 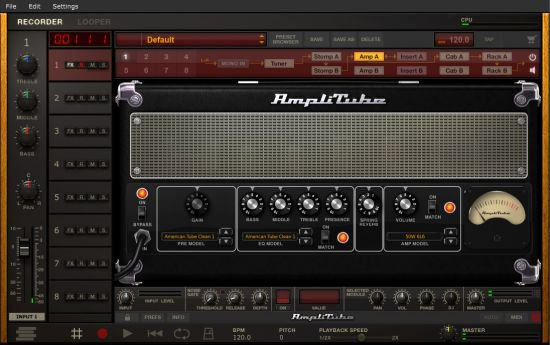 AmpliTube recreates the entire guitar/bass signal chain from instrument to recording device, and does so in a very realistic and intuitive way. But it also does it in ways you never dreamed possible. Fasten your seat belt. let's take a quick tour!